DNA strand displacement has been used to construct a variety of components, devices, and circuits. The sequences of involved nucleic acid molecules can greatly influence the kinetics and function of strand displacement reactions. To facilitate consideration of spurious reactions during the design process, one common strategy is to subdivide DNA strands into domains, continuous nucleic acid bases that can be abstracted to act as a unit in hybridization and dissociation. 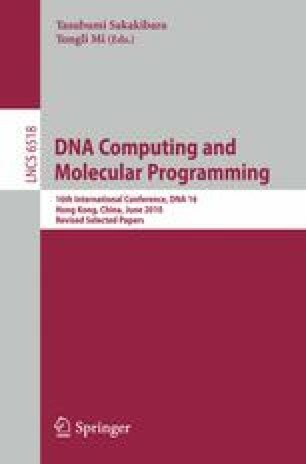 Here, considerations for domain-based sequence design are discussed, and heuristics are presented for the sequence design of domains. Based on these heuristics, a randomized algorithm is implemented for sequence design.